It may be impossible to be a Canadian and not love Anne of Green Gables. Add that to my latest obsession with printables, and we’ve got ourselves some lovely printable wall art, and really, I couldn’t be happier about it. 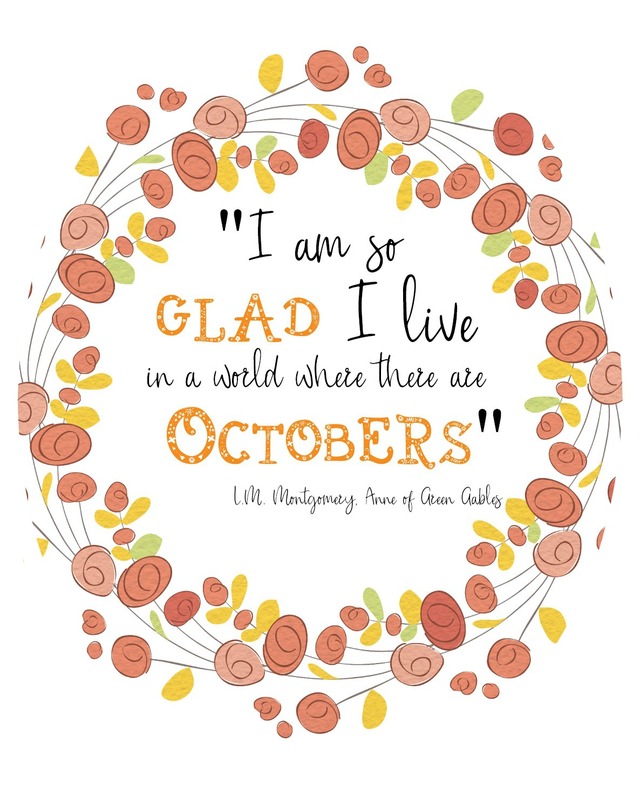 Anne Shirley sure did have it right. 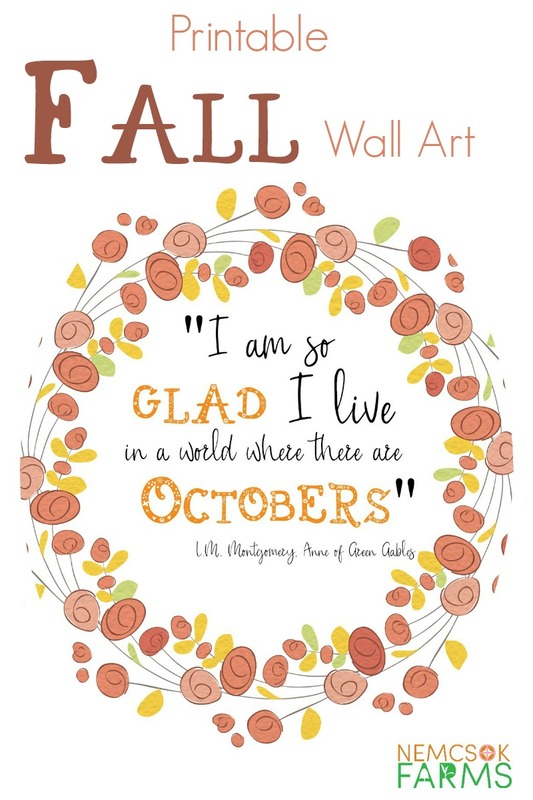 There is so much to love about Octobers! The colour, the atmosphere, the change of the season. We can get excited about the stuff we’re going to do next, and we can also start to relax about the stuff we didn’t quite get to finish yet. Even though it’s busy with garden clean up, harvests, and food storage ( thinking Canningpalooza) and holidays ( Thanksgiving in Canada and Halloween), we can sort of settle on the fact that some things will have to wait until spring. Fall is also a great time for changing things up – adding new decor items, and crafting up new gems. I know I have big plans ( more like hopes and dreams at this point) to redo several of the rooms in my house with a fresh coat of paint and some fun decor items – and as small step in the right direction, I’ve started with this lovely piece of wall art. Just click on the image to get your pdf. Easy as pie. Pumpkin Pie. See what I did there? Also, this would make a great gift.